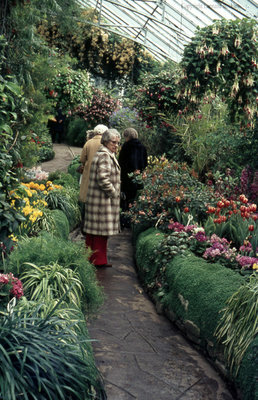 A colour slide of four women standing on a pathway and looking at flowers inside Brock Greenhouse in Hamilton, Ontario. Brock Greenhouse, June 1976, Leonard Beckley. Whitby Archives A2014_004_087.